Sky has sealed a deal with US cable giant HBO to become the home of HBO programmes in the UK and Ireland. All new HBO series will now be making their UK debuts on Sky channels, with the first programme to come under the new agreement Boardwalk Empire - the eagerly anticipated Martin Scorsese TV project. Sophie Turner Laing, Sky's Managing Director, Entertainment, News & Broadcast Operations, comments: "We are committed to bringing customers the best possible choice of pay content, whether that's through original UK production or the best of the US. "We are therefore delighted to have partnered with one of the most renowned names in television. HBO has demonstrated year after year the opportunity for pay television to push creative boundaries and create must see TV. " The deal with HBO is a major coup for Sky, with the US broadcaster producing some of the finest television to be seen in the UK in recent years. Some of HBO's hits include The Sopranos, The Wire and Band of Brothers and future programmes that Sky will now show include Game of Thrones and Luck. Sky will also offer HBO shows through its on-demand platforms, including the forthcoming Sky Anytime+ service. 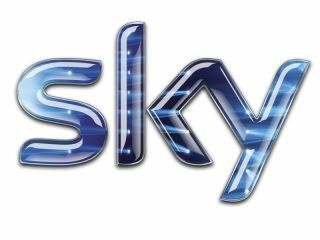 "We believe that Sky customers are in for a real treat with the spectacular shows currently in production such as Boardwalk Empire, as well as new seasons of established HBO favourites."